When you think of the best beginning guitars there is pretty much one brand that pops in your mind and that is Squier Guitars. 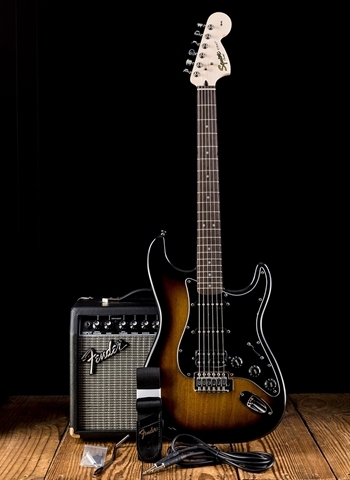 Squier by Fender, is arguably the most popular brand of beginner and affordable instruments in the marketplace today. This is because Fender has proven that Squier is a reliable and learnable option for beginning players and will be a great stepping stone guitar for a beginner to get accustomed to. However, don't be fooled by the affordable price because instruments like the Squier Classic Vibe guitars have proven to be gig-ready instruments that truly have that classic Fender sound and playability of the more expensive Fender instruments. For one of the best selections of Squier guitars and all Fender instruments visit us today at N Stuff Music and we will be sure to hook you up and get you started! 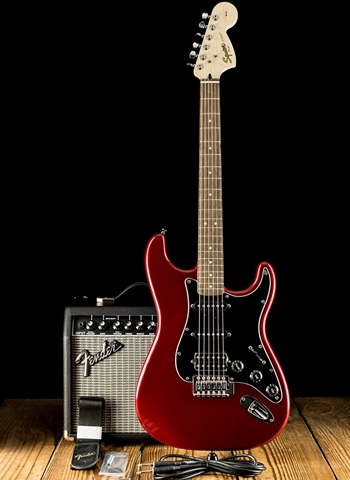 Squier is one of the fundamental guitars that we recommend for beginners looking for their first guitar. This is because Squier instruments have selections available in ¾ size for smaller players. Squier guitars are also barebones instruments that don't have too many bells and whistles and allow a beginning player the ability to focus on learn the guitar from the get-go. 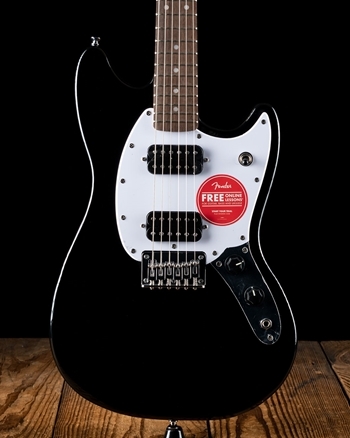 Both Stratocasters and Telecasters are made in the Squier line as well as the Jazzmaster, Jaguar, and Mustang are all produced in Squier versions. Thus, you can get an affordable version of any Fender guitar on the market today. 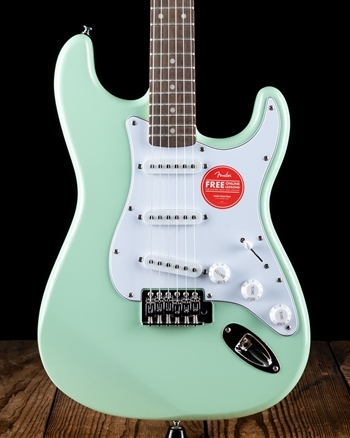 Squier provides a unique opportunity for players to obtain a classic Fender style instrument but in an affordable version. 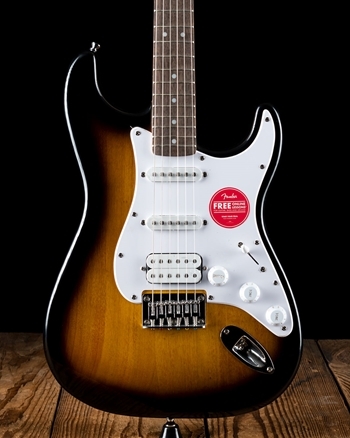 For example, a custom shop or elite Telecaster is out of the price range for many beginner or budgeted players, but with the classic vibe Stratocaster or telecaster you can obtain a truly quality playing guitar that replicates that amazing classic Fender sound that will have audiences shocked that an affordable guitar is making that sound! 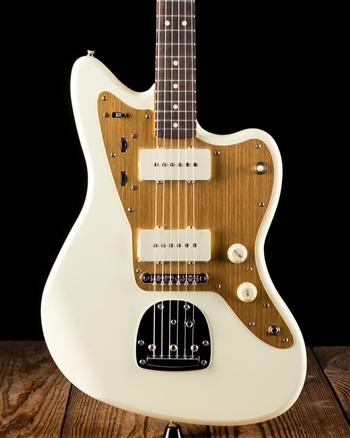 Instruments like the J Mascis signature Jazzmaster are also available in Squier versions so that you can obtain one of your favorite artist's signature guitars as well. Are you a fan of the guitar great John 5? 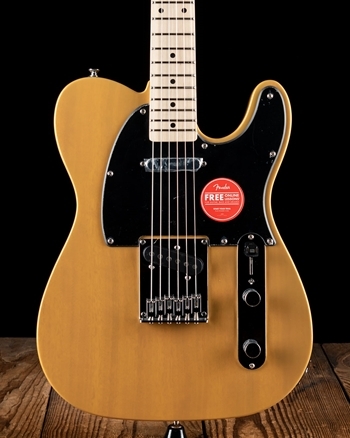 You're in lucky, because his Squier telecaster is one of the most popular guitars on the market in the Squier line. 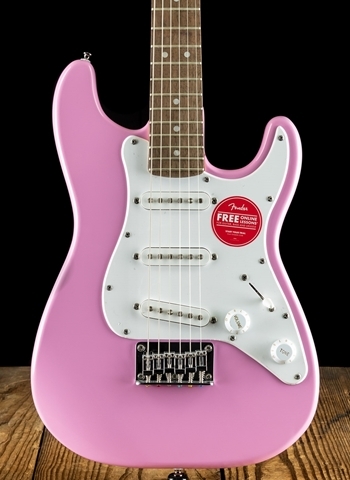 Fender is one of the only companies that doesn't cut corners on their affordable line of instruments. Squiers have proven to be some of the best guitars available on the market for their reliability as a beginning instrument and have also proven to provide an affordable option for players who want an axe with great tone but do not want to break the bank. Squier also has a variety of starter guitar packs that will provide all the necessary gear to get started playing right away and even allow you to play your first rehearsals and gigs. These packs take the stress out of finding all the right gear to get started playing your instrument. Here at N Stuff Music we are one of the premier dealers of Squier guitars in the entire region and have done so for decades. Our customer service is what makes us stand apart from other retailers in the industry today. We have one of the most loyal customer bases of any music store and that is because our clients know that N Stuff Music will consistently cater to their needs and provide a great atmosphere to find the gear that is right for them. For one of the best selections of gear and customer service contact us today at N Stuff Music.